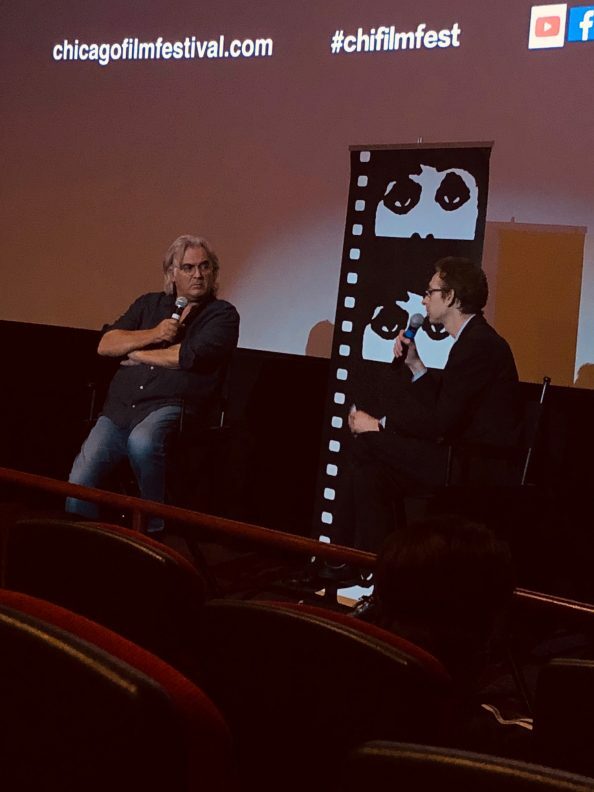 Paul Greengrass, the U.K. filmmaker responsible for such gritty slices of realism, as “Captain Phillips”(2013), “Bloody Sunday” (2002), “Flight 93 and the Bourne films came to the Chicago AMC Theater on Monday, October 1, in support of his Netflix film “22 July,” which focuses on the Norwegian massacre of 77 people—-mostly adolescents—that took place on July 22, 2011 in Oslo and the nearby youth camp at Utoya Island. The film runs a lengthy 2 hours and 13 minutes, but it is scheduled to be shown on Netflix beginning October 10th. It is being given a big push in regular theaters, showing in over 100 of them, a new Netflix concept. The $20 million dollar film shot in Vestfold, Norway, is based on the book “One of Us” by Asne Seierstad; Sieerstad shares a screenplay credit with Greengrass. Sixty-nine of the students at the AUF Labor Party camp died, over 200 were wounded, and 8 more people died at the site of a truck bomb explosion that Breivik detonated around 3:30 in the afternoon outside the Prime Minster’s office, before driving the 40 kilometers to Utoya Island, where he systematically began the slaughter of 69 teenagers, attired in a bulletproof vest that mis- identified him as a policeman. Before he began his killing spree, Breivik published a manifesto in which he said, “Consider this my gift to all Europeans.” During his subsequent trial, he called his actions “A war to take back control of Norway.” When called upon to testify in court, Breivik first stood and gave the Nazi salute, enraging the parents of the slaughtered innocents who were present in the specially-constructed courtroom. The main action (i.e., the massacre) occurs during the first half hour of the film, and the subsequent hour and a half is devoted to trying to determine who this man was and why he committed this heinous crime. The film views the proceedings through the eyes of one of the most badly wounded of the students as he struggles to recover. The “normal” citizens are represented by many survivors who are invited to present testimony at trial, especially the young teenaged boy named Viljar, (well-played by Jonas Strand Grovli,) who must overcome being shot 5 times and confront the assassin in court. Much like Michael Moore’s documentary “Fahrenheit 11/9” and Spike Lee’s “BlackKKlansman” all three recent films are urging complacent citizens who are, at best, lacksadaisacal about voting, to WAKE UP! This film warns that an organization calling itself Knights Templar (formed after 9/11) that says it wants Islam out of Europe and will stop at nothing to achieve that goal, is growing in power with Brexit and Trump’s ascension to the presidency. At the very least, the populace of the U.S. has been pitted, one citizen against another, in a fashion reminiscent of North against South in the 1860s. In some ways, the North against South battle lines fought during the United States Civil War is not an incorrect analogy, as Trump voters who were enlisted by Donald J. Trump and have become his “base” were largely from fly-over territory ( the South and Midwest). Their complaints echo those the shooter in this film articulates, with some distinctly American twists involving jobs leaving the U.S. and America losing its Premiere position on the world stage. The Norwegian shooter who vowed “We’re deadly serious about seizing control by any means necessary” would have been right at home in Charlottesville. Q2: Did you go meet Andres Behring Breiviak? 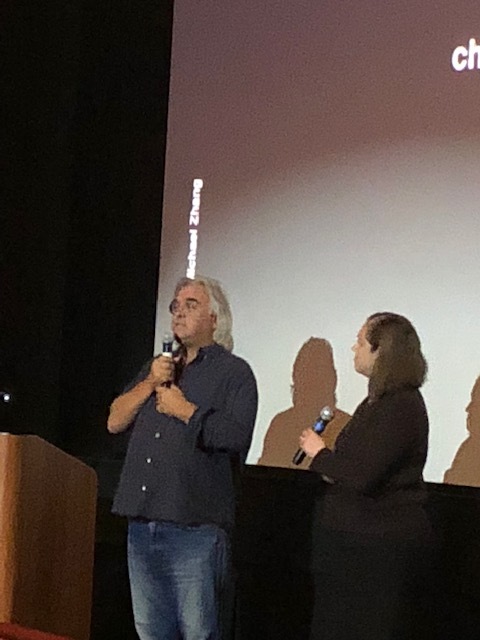 When asked why he didn’t include a post-film coda of the real survivors and the victims on whom the roles were based, Greengrass said that he prefers not to do so, but that “probably all the real characters would have been happy to do it,” adding, “I like to keep the integrity of the film. I like the aesthetic to be as simple, as stripped-back as possible.” Much like the Somalian pirates in “Captain Phillips,” the shooter is portrayed in great depth, rather than as a cardboard cut-out of evil. Q3: How do you push actors to make them seem real? Q4: What made you choose the young boy Viljar who was shot 5 times as the individual through whose eyes we see the action? 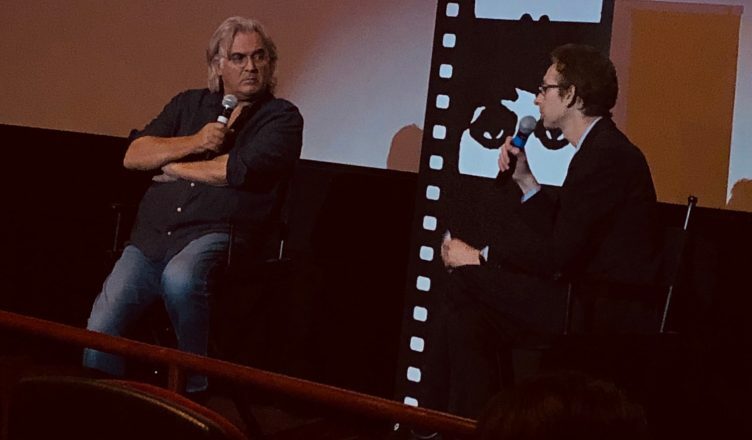 It was noted at film’s end that Viljar has continued with his schooling at University and intends to go into politics, following in his mother’s footsteps, as she was the Mayor of a small Norwegian town. “22 July” will air on Netflix beginning October 10th, 2018.